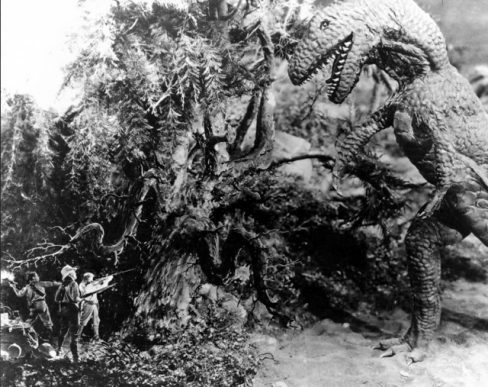 We are screening a new restoration of The Lost World (1925) that is more complete than ever before. This is the fantasy monster adventure film adapted from Arthur Conan Doyle’s 1912 novel of the same name. The film stars Wallace Beery as Professor Challenger, Bessie Love and Lewis Stone. It was directed by Harry O. Hoyt and featured pioneering stop motion special effects by Willis O’Brien, a forerunner of his work on the original King Kong (1933). Piano accompaniment is by Costas Fotopoulos. Part one of the evening which will look at Willis O’Brien’s work and focus on his next film Creation (1931). Silent film with intertitles which may be suitable for the deaf and hard of hearing.